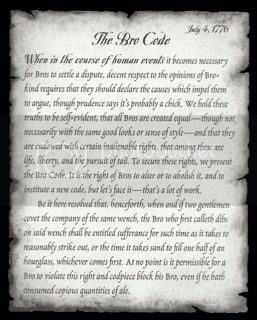 You don't discuss the bro code amongst women, are you insane? I read it. I read all of it!